Based on the latest news I can find, as of October 21st the strike is over as a practical matter. In recent days the Costa Rican supreme court rejected the tax reform because it limited the workers’ salary increases. The union leadership proposed a “pause” and everyone is headed back to work and most schools. 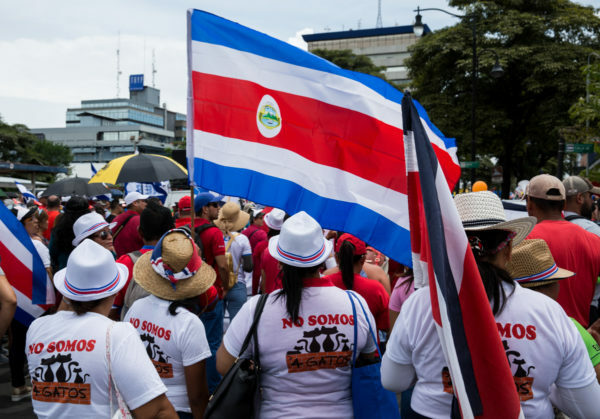 The huelga nacional (national strike) in Costa Rica is complicated. The simple version was that in the first part of September 2018 some union workers walked off their government jobs and began protesting the legislature’s tax and spending reform plan scheduled to become law in November. The union walkouts closed schools and curtailed public sector medical care, banking, social security and other services. The protest marches were intended to gain attention by blockading traffic on major highways, shipping ports, bridges and at fuel depots causing as much disruption as possible. Intimidation was also a tactic with protestors gathering in front of the homes of elected representatives. The proposed tax and spending reform package increased taxes on food and other necessities while reducing bonuses, salary caps and severance pay for public workers. The government maintained that it is fair and balanced and the only way to avoid Costa Rica going bankrupt and prevent the complete collapse of public services and the economy. The unions claimed it steals their pensions, unfairly raises the taxes on the poor and will bankrupt the people. Their alternate proposal “the Justice and Solidarity Tax Reform” would increase taxes on banks and companies with “excessively” high profits, eliminate “luxury” pensions for politicians and payments to political parties, and aggressively prosecute tax evasion and fraud by real estate magnates and other extremely wealthy families. The tax and spending reform is necessary because previous administrations did some creative accounting and internal borrowing. The news reports that Costa Rica is broke and the U.S. and other banks refuse to lend any more money to increase the national debt until there’s a solution in place. Whether the proposal is sound fiscal legislation or a fraudulent con job, the democratic process appears to be a bit off the rails in Costa Rica. The news from the Copey Learning Center is very refreshing as it seems things are getting back to normal. The high school age students have been working on creating presentations. Recently the subject was India and Henna (I believe Henna pertains to body art and the use of a plant leaf as a dye for coloring skin.) Just guessing! The project included learning about India and was deemed a huge success. As in any successful project, at its conclusion there is a thirst for more…more time…more opportunity to investigate and learn about India’s history and culture. Andrea, the new Director, reported this project really filled her with joy. “It was wonderful to see students so eager to learn with such positive attitudes”. 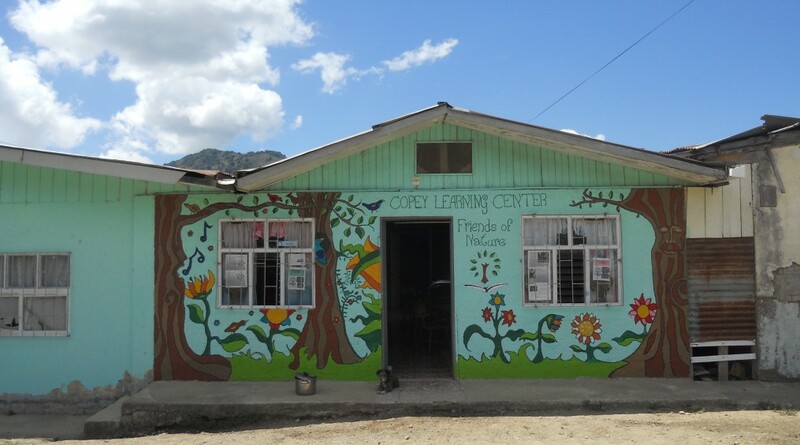 This has been said so many times about the Copey Learning Center students….“so eager to learn”. The very strong education machine…aka The Copey Learning Center, seemingly has been somewhat in the slow gear lately thanks much to the strike. But, with the strike nearing an end, I can sense the machine is getting a little more excited as the year will come to an end in less than six weeks. As the year draws to a close, the process will start soon to identify and select the next successful candidates who will travel to the United States under the “2019 Pathway Project”. More details will be forthcoming on the process several students will follow to be eligible and potentially selected. The process will result in the selection of our number 7 and 8 students to make the very exciting and memorable journey to America and to our Emory & Henry College campus. This will also mark the start of the recruitment of a couple of the college students to go to Copey for a volunteer class assignment in 2019. I hope to return to my Monday Post schedule next week. Tuesdays have worked out better the past couple of weeks because of news flow and several other non-related commitments. We continue to work on upcoming Skype session between our local Jefferson Elementary students and the Copey Learning Center students. Looks great for happening in two weeks. Keep connected. ← Road of Success…No Traffic Jams! Thank you for keeping us update on The Learning Center during the strike. Happy to know they are moving forward and the students and others are getting a little more excited. Love seeing the students in the Emory & Henry shirts, hats and holding banners. Go Emory & Henry College!! Finally a moment to plug in and hear about the updates in one of my favorite global missions. So refreshing to hear about the eagerness of the students to learn and hope it continues to spread.